Semtech’s LoRa® devices and wireless radio frequency technology (LoRa Technology) is quickly becoming the de facto technology for carrier-grade Internet of Things (IoT) due to the technology’s ability to offer unique advantages in its low power operation and ease of scalability. Today’s carrier-grade IoT market consists of a variety of devices with a few requirements in common. These devices must include connectivity and low device cost as well as low total cost of ownership. Additionally, a battery with the capacity to operate for multiple years and utilize very low power consumption is required. These solutions must cover wide areas and offer long range capabilities, while providing reliable scalability in networks and gateways. Recently, I presented in a webinar on “Making Smart Decisions with a Carrier Grade LoRaWAN™ Network” co-hosted with LoRa Alliance™ ecosystem members Senet and Tektelic. Other presenters included Roman Nemish from Tektelic, and Steve Ball from Senet. Below, are the key takeaways from that webinar, including advantages of LoRa Technology for carrier-grade low power wide area networks (LPWAN). 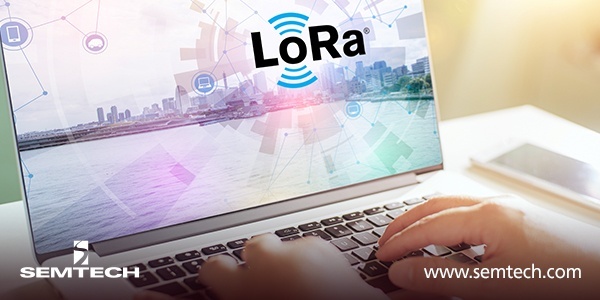 You can watch a replay of the webinar in the LoRa Community, a free community for IoT and M2M developers to connect, learn and share on all things LoRa. Operators aim to leverage assets for IoT without creating new infrastructure to manage the resulting network. Solution providers want an easier way to bundle connectivity with their end-to-end offerings. A new approach is needed to deploy low power sensors at a massive scale. LoRaWAN networks are an answer to these complex problems. For example, a deployment with Senet allowed SenRa, an Indian LoRaWAN company with an extensive profile of successful projects, to deploy a LoRaWAN network in less than 90 days. Under a year from that initial deployment, SenRa had deployed in 17 cities, which is an average of greater than one deployment per month. Asset tracking requirements define the ideal characteristics of a LoRaWAN application and LoRa Technology is perfectly suited to handle the associated challenges. Several advantages of the technology include its mobility, ease of implementation into existing infrastructure, long battery life, and flexible geolocation capabilities. To better demonstrated, a use case was presented on how LoRa-enable asset tracking brings business value to a municipal. The Department of Health (DOH) in a large U.S. city needed a solution to improve pass rate of health inspections for mobile food trucks and carts. DOH was constrained by data plans, and lack of IoT experience to create a reliable solution. Senet and a partner created a LoRa-based asset tracking solution to monitor vendor locations in real time, GPS map location, monitor battery life, and offer system alerts. With LoRaWAN, the DOH is expecting to recognize 75% savings on data transmission costs alone. Semtech’s LoRa Technology enables Devices, Networks, and Applications - the DNA of IoT. The LPWAN market represents a large and growing opportunity that dominates the IoT market, and this trend is expected to continue. Today, there are approximately 100 million new LPWAN IoT solutions created per year, with energy solutions like metering and electrical grid solutions comprising two thirds of these solutions. Having an expected CAGR of 50%, the number of new solutions could reach a billion annually in about five years. LoRa Technology is supported by several key foundations which will drive its future growth including: 70,000 gateway units, capacity of 300 million units, networks in 56 countries, and 50 million connected devices. Semtech, Senet and Tektelic are members of the LoRa Alliance with over 500 member companies*. Couldn’t make the webinar? Semtech, Senet and Tektelic will be attending Mobile World Congress Americas in Los Angeles September 12 – 14, 2018. Find the LoRa Alliance in South Hall Stand S.2524. Come say hello and learn about LoRa Technology first hand! Like to learn more about LoRa Technology, the de facto technology for the IoT? Explore its unique use cases here!